Our virtual office services are available for businesses of all sizes and are ideal for those clients not ready for a full-time office. This service arrangement is classified as a Non-Licensee; Non-Licensees are offered a high level of commitment, maintaining a professional business partnership between your company and the Weltech team. Our Non-Licensee office services can help you manage your business through a variety of services. To commence this service a security deposit of £250.00 is required and as a Non-Licensee you can benefit from a variety of these services from as little as £12.32 per week plus VAT. There is also the opportunity for an easy transition into one of our business units (subject to availability) and becoming a Licensee. 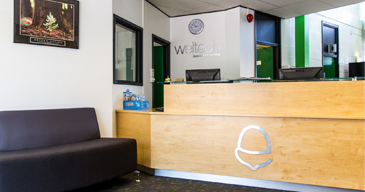 Please contact a member of the Weltech Team to discuss your requirements in more detail.